2. As stated by WhatsApp in its recent blog post, it is sharing your phone number with Facebook to “improve your Facebook ads and products experiences.” This doesn’t mean that you will start seeing advertisements on your WhatsApp app. But, you will start receiving more relevant ads on Facebook and get better friend suggestions. 4. WhatsApp has stated that your number will be shared with the ‘Facebook family of companies’ – which most likely includes other Facebook acquired companies such as Instagram and VR firm Oculus Rift. • Uncheck the green box (fig 2). 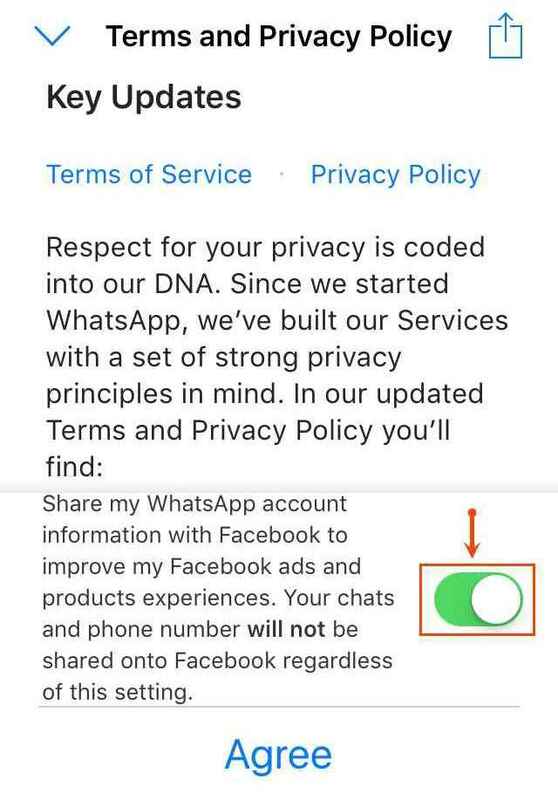 • Unchecking means that you do not want WhatsApp to share your number and other data for Facebook ads and product-related purposes. Tap on ‘Agree‘ (fig 3). If you have already agreed to the new terms and conditions, you still have 30-days to reverse your decision. Note: If you do not see this option under Settings > Account, there’s no need to panic. It means that you haven’t updated to the latest version or you are yet to receive the notification about the new terms and conditions. 6. We need to understand that the above “opt-out” procedure is partial. 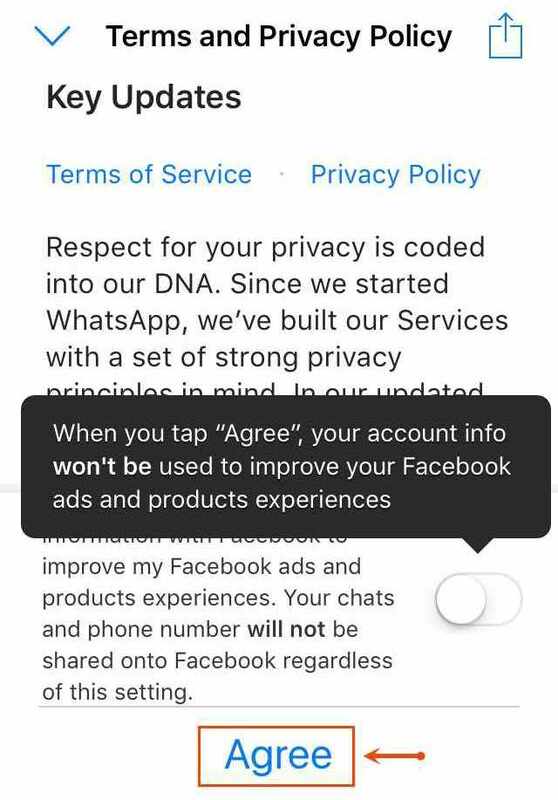 This only prevents WhatsApp from sharing your data for Facebook ads and product-related purposes. 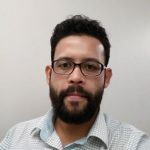 However, your data will still be shared for other purposes which the company puts as “improving infrastructure and delivery systems, understanding how our services or theirs are used, securing systems, and fighting spam, abuse, or infringement activities”. 7. 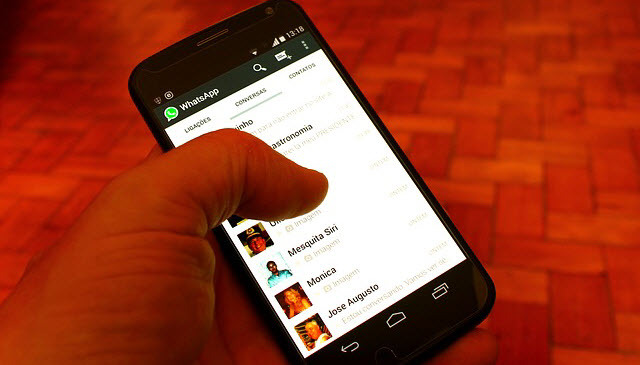 This data-sharing update does not affect your communication on WhatsApp (messages, photos, videos, voice messages, and calls) which continue to be encrypted. This means that they can only be viewed by you and the person you are sending them to. 8. Users who have agreed to the new terms and conditions still have 30-days to express their disagreement. Once this window expires, they won’t be able to opt out. 9. WhatsApp hasn’t provided a comprehensive list of the types of user data it intends to share with Facebook nor anything about how Facebook will be using this data. 10. WhatsApp will continue to be ad-free. But what if you don’t have a Facebook account? Your number will still be shared with Facebook even if you are not on the social networking website. But a WhatsApp spokesperson has stated that even if Facebook has your number, it is of use because you don’t have an account there. Your number will not be used to create an account on your behalf. We will be keeping track of this development and update this post accordingly. If you think this post is helpful, share it with your friends and peers. Previous postINFOGRAPHIC: How can SMS Spam Harm You? Thank you QUICK HEAL. I have already agreed to the new terms and conditions by mistake but after reading this article now opt out of this using Option B. Thanks again. thanx to QH for alerting me because i have already accepted the terms but now i opt out after knowing it. thank you . though i have deactivated my whats-app account yesterday. app is still in my phone. But this is not harmful right ? It only betters the Facebook ads and allows you to more relevant things and more people that you actually know . If it is somehow harmful please explain. Thanx for the the useful update! Thanks Quick Heal and Rajib Singha for this wonderful piece of information. Yes, I did agree to the policy and now after knowing from you I preferred to opt out from setting. Thank you Quick Heal and Rajib singha. A very thorough and helpful blog and suggestion . why ? first windows 10 , now facebook and so many more companies . why do they intrude this much privacy ? 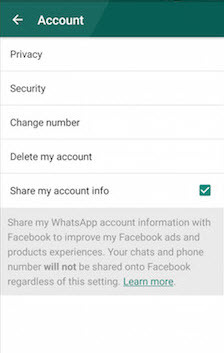 Will Whatsapp share my account info even if I don’t posses a facebook account? Thank you. I have read through your entire message and opted out of Whatsapp sharing my contact info. Really helpful. Thanks a lot. Thank you very much Quick Heal for the article. I have already agreed to the new terms and conditions without reading them by mistake. But after reading this article now I uncheck the share my info. box with the help of Option B. Thanks again. After reading this post I went to ‘Account’ & found out that I had already accidentally agreed to sharing my number ! Good Heavens ! Day light piracy !! Now I have fixed that thanks to this update ! I am not holding FACE BOOK account. 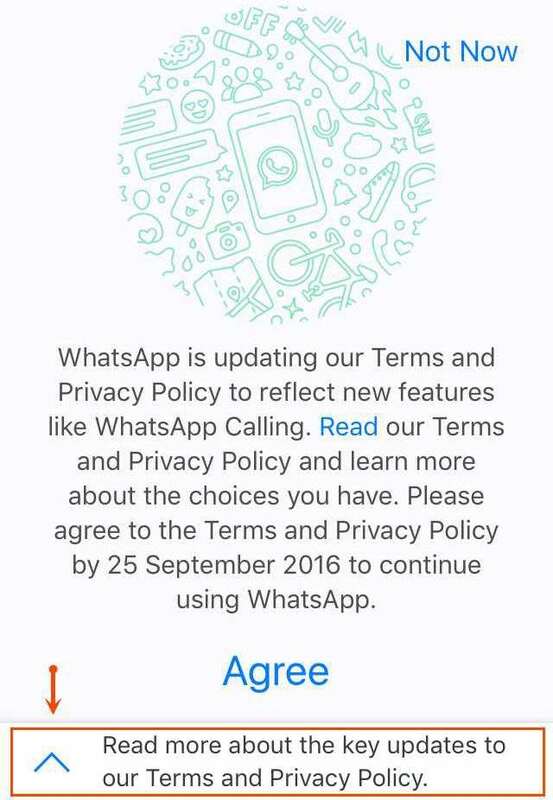 Fig 1 says ” to continue using WhatsApp it is imperative to agree to the terms and conditions by 25 September 2016″. Does it mean; if one doesn’t agree, WhatsApp service will be discontinued on that persons mobile? To use any software or hardware, the user has to agree to the Terms and Conditions laid out by the publisher. And this applies to WhatsApp as well. Thank you Rajib for this post. I have checked with the update and done what you suggest. That’s why I love Quick Heal. You are doing a great service to the masses. i want whats app donload but i am regular try but but i am not sure/successful that means how are come to the whats app download….. I am using QUICK HEAL my PC. when I start the computer my language programmer is not working or showing (Shri Lipi 5.1 32 bit) just like a handicap so i cant any work or cant do any language job so please what can i do and give best suggestion. Please….. Thank you for writing in. Our support engineers would gladly help you with this issue. Please visit http://bit.ly/QHChat to chat with us online. You can also raise a ticket at http://bit.ly/Askus and we will get back to you at the earliest. Thank you Rajib and Quick Heal. Is there any way to opt out of sharing info with facebook on a new install of whatsapp? I opted out, but then my phone crashed and when I tried to reinstall whatsapp there is no longer an option to opt out. Does this mean I have no choice now? This is such a betrayal. I do not want Facebook to store metadata about my relationships and who I associate with. QUICK HEAL ANTI VIRUS IS EXTREMLY VERY SECURING ANTIVIRUS FOR ANY TIPE OF PC/LAPTOP/MOBILE/ANY GADGETS. I was already unchecked the sharing option, but even thanks for providing detailed information. Thank you Rajib Singha I like quick heal health and soul of my phone is important that you are great God bless you. Thanks for information. I have done it. Thank you qiick heal its very very important for me and family ,lots thanks again . This is very nice idea, which may may be spreaded to facebook regularly . So that all become aware of that. I do not use Whats App in my PC.The application to download the offer came but i totally turned down.Thank you for the valuable hints.